It’s been suggested that emerging markets could see a major economic boost if they made just one simple change: go cash-less. It’s already happening around the world, and there is good reason to go cash-less. Storing cash is risky, especially if you have a lot of cash. In developing nations, one job might lead to significant sums of cash for someone, but they’ll need to live on that for week or months while they find more work. High incident rates of theft are propelling more retailers to adopt credit card terminals to store money digitally and make it harder for thieves to steal. Nearly 80% of adults in emerging markets have either a mobile phone or a smartphone that they use on a daily basis. Even more carry credit and debit cards and as these technologies merge the POS becomes a perfect mechanism to help transmit payment data digitally. There is a large segment of the population in any developing or developed nation that is underbanked, meaning they either don’t maintain a bank account or they aren’t benefiting from doing so. Part of the problem is that these people need closer control over their budgets, in order to plan and save effectively. Right now, banks can’t respond to these pressures fast enough and the costs of providing the existing services is far too high. With digital transfers, all transfers are much faster and more affordable. That makes the mobile wallet the new cost-saving measure of the future for many on the lower income. Even those who wish to start a business will benefit from this revolution. They’ll find it easier to pay contractors from anywhere in the world, and make international purchases they need to run their business. In 2014, and even a bit in 2015, the landscape of merchant processing looked pretty grim. Not a lot was happening at the consumer level, technology wasn’t very compelling and good deals were hard to find. Businesses didn’t have a lot of options when it came to transferring money online, and most just went with whatever services were offered through their bank or merchant account. This led to a lot of very expensive fees an inefficient money transfers. Today, things look very different and the future is rather bright for companies who utilize credit card processing. There are several reasons why that is the case. Smartphone adoption rates are higher than they’ve ever been, which means that everyone around you has the potential to carry their wallet in their pocket without ever carrying cash. These devices are secured, sometimes with multiple levels of encryption, and they are easy to use as a means for transferring money. Merchant accounts are adapting by adding new ways to pay at the terminal. Customers can use digital wallets, mobile devices and more. This goes against the traditional credit card system, but consumers don’t seem to mind. It’s safer to pay with a phone, or to pay online, meaning more of us can buy what we want when we want. The missing piece of the puzzle isn’t the willing consumer, it’s a business ready to adopt this new technology. It’s been difficult to find a good system that you can link to an existing merchant account, and provide an ecommerce component. Today, that’s no longer the case as there are more options than ever before. Some of these services are tied to an account, but not all of them. As compatibility improves, it will be easier for consumers to consolidate their wallets. Right now, the landscape is still fractured but that won’t always be the case. Soon, digital wallets on your mobile device will be the standard. You’ll be able to receive your paycheck over mobile, pay your bills and buy your groceries, all with nothing more than your phone. Of course, the innovation everyone will benefit from (but isn’t the most exciting) is better security. Transactions on these new systems use an anonymous instance, so everything takes place in a vacuum of sorts. This makes it harder for hackers to detect, and nearly impossible for them to extract any meaningful data from. Pierre Zarokian is a digital marketing Expert. Read more articles by Pierre Zarokian here. Credit card services involve many moving parts, and one of those moving parts is known as the “payment gateway”. This part of the transaction is the portion that moves the money to and from the payment processor, but it’s not to be confused with the payment processor or merchant account. Confused yet? Then this guide should help. Typical payment processing begins with the customer swiping his card at the credit card machine. He may also place an order on a website clicking “submit”, or some equivalent button. The user’s browser encrypts the information before it’s sent anywhere, which is made stronger if the site utilizes SSL encryption. The merchant receives that transaction, but can’t touch the money. The merchant service provider typically doesn’t control the means of getting the transaction to and from a bank. That company forwards the payment to the gateway, which also adds an additional layer of SSL encryption. The information is forwarded, like a hand off, to the credit card bank. They verify the transaction as authentic and they approve or decline it. They simultaneously issue a response code to the merchant’s processor, indicating whether the transaction was approved or denied. The processor then uses the payment gateway to send that code to the merchant’s bank. This starts the full authorization process, where funds begin to transfer. At the end of each day, the merchant submits all processed transactions as a “batch”. This batch records their sales for the day, which completes most of the work transferring funds. After that, the banks have to work out the exchange which can take about 24 hours. If everything goes smoothly, the transaction itself will take about 2-3 seconds, while the transfer will take a maximum of 72 hours. 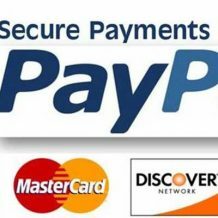 A payment gateway is necessary to running a merchant account. Few of these companies manage their own, so the costs of the transfer are a part of the costs a merchant pays at the credit card machine. If you’re considering a merchant account for your new business, be sure choose the interchange plus model for your pricing plan. If you choose a flat rate, all of those costs are lumped into a single transaction fee. With interchange plus models, you get a fair rate based on the type of transaction your process. Ultimately, that can reduce the fees you pay. Summary: If you are wondering how to promote your small business, continue reading for some effective methods you can use to spread the word. Regardless of the market you are operating in, your business needs customers to succeed. A key component of operating a business, however, is thinking of ways to attract customers. Budgeting can be an obstacle but there are many ways you can promote your business without spending large amounts of money. The internet has made it much easier to share information, which can ultimately make the task of getting your brand to stand out overwhelming. Continue reading for some tips on how to promote your small business. Finding a good high risk merchant account provider is crucial but so is finding an effective way to communicate what your brand is actually all about. A social media presence is becoming more and more important for companies working on their branding. Twitter and Instagram are great ways for people to find important information regarding upcoming events or product launches and they offer useful methods of interacting with customers or users. If you have a website you can also use social media to post ads and direct people to your site so they can learn more and hopefully make a purchase. Merchant Account companies can help process card transactions customers make online or in-person, simplifying the collection process. Similar to how one might place a listing in their local newspaper to spread the word about their business, one can create an online local listing via Google Places. The tech giant has simplified the process of creating listings that can pop up when someone makes a Google search or is exploring on Google Maps. Here, you can post details about your business, such as a description, photos, and contact information. Article submitted by NYC Generation Tech. Summary: Cryptocurrencies have become a hot topic recently. Continue reading to see how Bitcoin is impacting currency today. 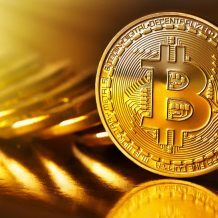 One of the latest trends that has been getting quite a large amount of buzz recently is ‘cryptocurrency.’ A cryptocurrency is a digital form of currency in which encryption techniques are used to generate more units of the currency. The concept of a currency that is decentralized, and thus not bound to a specific country or region of the world, is not new. BItcoin, arguably the most famous cryptocurrency, was launched in 2008 but has only recently started to transition from the realm of niche communities to a concept the average consumer has at least heard of. Still, the question of how impactful Bitcoin has been on digital currency still stands. Is this a fad or does it have serious potential to change how we handle currency? When Satoshi Nakamoto first came up with the idea for Bitcoin, he intended for it to be used as a peer-to-peer electronic currency that did not require regulations from banks or other large institutions. Over the past year, Bitcoin has jumped from $777 to a high of $17,000 and currently sits just above $11,000. The value of a Bitcoin is currently rising and falling by too much for it to be taken seriously as an actual form of currency. Merchant account companies work to offer reliable methods of handling credit card transactions but there aren’t any quick and affordable methods to handle Bitcoin transactions yet. Rather, Bitcoins have mainly been used for investments, quite similar to how someone would invest in a stock in hopes of its value eventually increasing, ultimately yielding him or her a profit. In order for Bitcoin to be treated as a currency, it has to have a value that can be conveniently exchanged for goods or services. As it currently stands, a reasonable payment gateway to handle Bitcoin transactions does not exist. Exchanges can be lengthy and expensive, with transaction fees averaging over $11. This could discourage both stores and consumers from using the currency like they would a US dollar. It would seem impractical to buy a pack of gum or a sandwich, for example, if the transaction costs ended up exceeding the actual costs of the goods. Summary: Transferring money to another country? You’d best carefully select a merchant service that implements the highest security measure available. 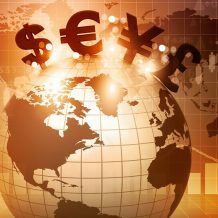 One of the most challenging tasks that merchant services must face is the global transfer of money. You’ve heard the stories of fraud, theft, and corruption all over the news, so it’s likely that you’re skeptical when wiring money overseas. And to add fuel to fire, the transfer must stop at multiple points, increasing the risk of it being hijacked by hackers. This guide is designed to showcase the increasing level of security being implemented by merchant services to minimize the risk of transfer hacking. 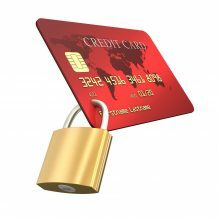 When a credit card merchant account first authorizes the transfer, they provide a secure means beforehand. This is done via SSL encryption to help keep the transfer anonymous to others – and with the amount of sensitive data such as account numbers floating around, it’s absolutely mandatory to keep this secure. When a credit card is swiped or processed, the payment gateway will search for authorization. Once it receives confirmation, it will tag the transaction with a key that matches the user’s bank account. Now, transferring money overseas isn’t much different from this. The fact that it requires travelling through different countries before reaching the destination may require additional days to complete, but more notably, it also presents a security risk if these financial institutions are negligent in their transfer operations. In order to protect global transfers, companies need to ensure that they take the proper security precautions to ensure that the money is kept safe and reaches the destination unscathed. With fraud and theft increasing at an alarming rate, new technologies are being scrambled together to counter these hackers. Credit card machines have evolved to provide better security for the payment information passed to and from your bank to a customer’s account. Behind-the-scenes, you don’t really need to do much other than setup the account properly and test it to make sure it works. Still, it’s important to have good security policies you can use for employees in house. Your credit card processor will handle of the sensitive data, but your employees should try and limit the amount of times where they have to deal with the full number for a card. Avoid keying things in, or require manager approval when typing a credit card number into the terminal, and never have employees write this information down. If they need to call a customer’s card provider, or leave the terminal for any reason, the customer and card should accompany them. 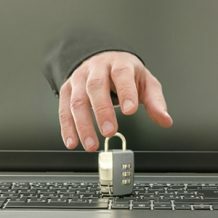 The less time you spend with sensitive data, and the fewer opportunities you have to record that data, the better for you and the liability your company faces. Every employee should have some kind of login ID they use to sign into your store’s credit card terminals. That login should tell management who used a terminal, so you can lookup transactions and identify who rung them up if something goes wrong. If you’ve not already done so, upgrade your store’s payment system so you’re utilizing modern technology. Then, enable chip readers at the register so you can take the more secure form of payment instead of the outdated magstrip. When you’re trying to research something new, like credit card processing, you’re going to need some foundation for the lingo so you understand what is being discussed. There are many terms related to merchant accounts, almost too many to list in a single article, so these terms are some of the most important. After reading this guide, you should have a firm understanding of terminology you can use to help find the best merchant account for your business. The merchant bank is responsible for providing the means to facilitate a transaction, also known as a payment gateway. They may not design that gateway, but they allow customers to utilize it in order to securely send money online or in-store. 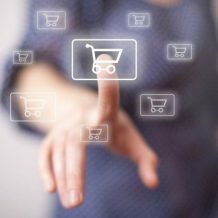 Aggregators, like PayPal, design their own solutions and allow transaction processing without the “bank” nomenclature. The processor is the middleman for your transaction, which routes the credit information. 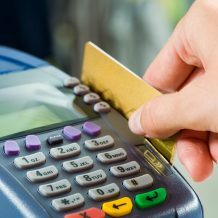 When you slide a card through a credit card machine, the processor passes the information to the gateway that sends the data to the merchant bank. The customer’s bank, or the bank issuing funds to cover the costs of the transaction (including the purchase, and associated taxes). These institutions give credit cards to consumers, and usually pay the costs up front while charging customers interest to pay those costs back. Secure Sockets Layer, a form of encryption that helps anonymize and protect financial data as it is passed from the issuing bank to the merchant bank. If this were 1965, and you were trying to buy a car you might run into some trouble if you tried to buy a car the way consumers do it today. First and foremost, there is no Internet so pricing a car is very different. If you got talked into a loan you couldn’t pay, banks could garnish your wages with the burden being placed squarely on your shoulders. Truth in Lending changed some of that. The Act was designed as a safeguard for consumers, and it helped give prospective buyers options to shop around. It didn’t just apply to the automotive landscape, but the effects were felt most prominently there. If you’re old enough to remember the beginning of 0% APR financing, you might not be aware that this is an indirect effect of Truth in Lending. Failure to properly differentiate between a finance charge, and the amount financed, meant that a potential lender could just roll the extra interest from a loan into the loan itself. They could package the loan as a 0% APR loan, leading consumers to believe they would save thousands, and reap the rewards. 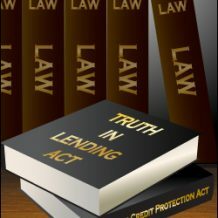 APR was mandated by Truth in Lending, and it was meant to help consumers gauge how favorable a loan’s terms were to their particular circumstance. However, deals like “0% APR financing or $1,000 cash back” masked what the consumer could potentially get. Which is the better deal? The Act was passed in 1968, and has helped a great deal in standardizing the costs of lending.